A project with paper of this video lesson can give you a nice and really useful thing. After some minutes of creative work you will get a vase. Such handcraft may be a real vase for flowers, which don’t need water. 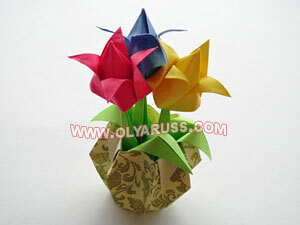 Or put the natural flowers into a glass vase or a jar with water and then put it into the paper vase. And, of course, use the vase as a handy box and spend your free time having fun and inspiration! The readymade vase can get any size and color. It depends on the planned usage. 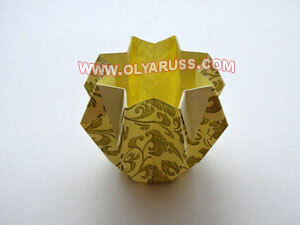 So, if you ready to create this handcraft, prepare one square piece of paper. Choose the paper size and color yourself. And then, of course, use the video description.